OPENING RECEPTION WITH ARTIST: Friday, November 8, 5:00 – 7:00 p.m.
Over the course of history, various groups of people have been taunted or shunned because of birth defects or genetic abnormalities. One such group is albinos, who are born with a melanin defect, resulting in the loss of pigment in the skin, eyes and hair, causing vision problems, and making them susceptible to various skin cancers. In 2009, Brazilian photographer Gustavo Lacerda began a series focused on albinos who live in his homeland. His first hurdle was to gain their confidence, as most of the people he approached were accustomed to the harsh scrutiny of outsiders. Once trust was established, Lacerda invited them into his studio where he used classic portrait lighting to create an atmosphere of calmness, allowing each person the comfort needed to reveal their personalities. The resulting photographs show a group of people comfortable within their own skin, and with each other. From two-year-old twins, to three siblings, to a girl scout, Lacerda posed people against soft backdrops that compliment their skin tonality, letting the viewer focus on the gesture and pose. These are quiet images about a group of people often ostracized by society. Through Lacerda’s work, we are introduced to the beauty, fragility and complications of albinism, and the people living with it, who are frequently marginalized and misunderstood. Gustavo Lacerda works and lives Sao Paulo. His series, Albinos, has received critical praise and was recently featured on Huffington Post and Wonderland Magazine and is included in the Musée du Quai Branly Collection (Paris, France) and the Sao Paulo Museum of Art (Sao Paulo, Brazil). 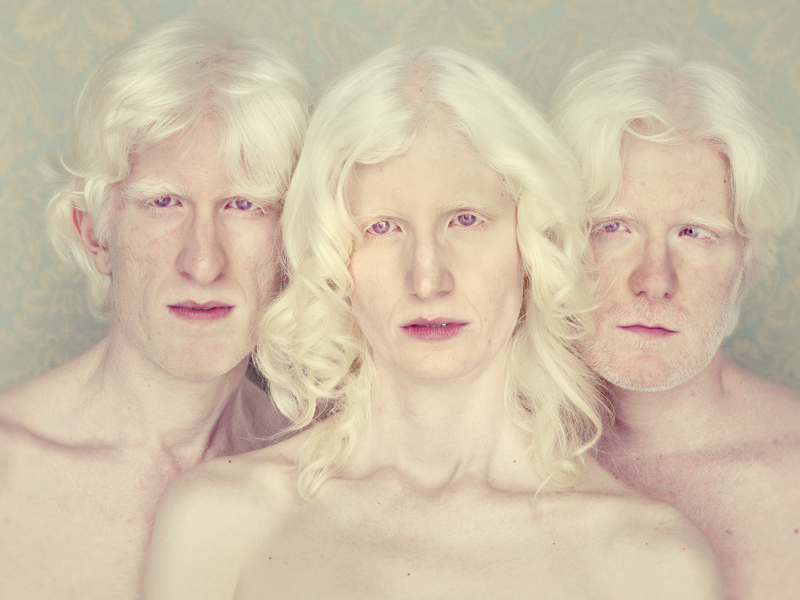 A monograph on Albinos is in production, and will be released at the end of 2013 by Editora Estudio Madalena. Ctrl+P: Photography taken offline was started in January 2011. Inspired by the hundreds of photographs we see on blogs and online galleries, Ctrl+P provides further exposure for new artists we find while searching the web, exhibiting a small selection of one person’s work every two months, taking the pictures offline and putting them on the wall. The seventeenth artist we will be featuring is Bryan Schutmaat. His images and statement can be found here. IL 60654Tuesday – Saturday: 10:00 a.m. – 5:30 p.m.